As a presenter, being professional throughout and being well-prepared is extremely important. It’s a skill that Bob clearly demonstrated throughout his teachings to RB&W members. 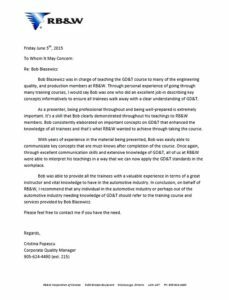 Bob consistently elaborated on important concepts on GD&T that enhanced the knowledge of all trainees and that’s what RB&W wanted to achieve through taking the course.